I feel like a new person after getting my hormone test results and implementing supplements into my routine. Now I have energy! I wake up without having to hit my snooze button 5 times and I don’t get the “2 o’clock feeling.” My mood feels lighter, and my stress levels are staying down. Situations that used to upset me no longer bother me. I have to say, I’m completely in shock that I’m already feeling better, as I did not think it would happen this fast but I am so grateful. The other test administered to me is the LRA by ELISA/ACT test, which I referred to in PT 2 as my food sensitivity test. The ELISA test is extremely unique; it uses technology that allows the laboratory to observe immune reactions of specialized white cells (lymphocytes) just as they occur in the body. Live lymphocytes from my blood sample were exposed to antigens in the lab, and reaction indicated loss of tolerance and development of self-attack known as delayed hypersensitivity. 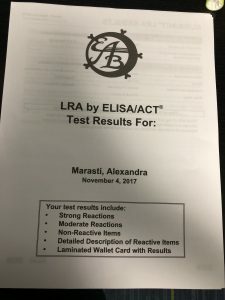 The results of the test then showed strong reactions, meaning that more than 50% of my lymphocytes react, and moderate reactions, meaning that 5-50% of lymphocytes react (ELISA/ACT Biotechnologies LLC). The importance of the ELISA test is due to reactive items being an adverse load on the immune system, making it hard to respond, defend, and repair our body. When this happens, this can provoke “autoimmunity,” or inflammation and self attack. (ELISA/ACT Biotechnologies LLC) My body did react strongly and moderately to 15 of the 406 substances tested. The suggestion with these substances is to avoid strong reactors for six months and moderate reactors for three months, and then slowly incorporate them back in, once my body has a stronger defense system. My body’s strong reactions are flaxseed/linseed oil, mercury, cis-dichloroethylene (1, 2 – dichloroethylene), D & C Orange #5. I’m surprised I react strongly to flaxseed/linseed oil, as I never use it. I do have to read ingredients on cereals, granola, and protein bars, because a lot of those products will add flaxseed. Mercury is a HUGE one for me, because I wasn’t drinking filtered water. I know, I know, why would I drink tap water? Because I grew up drinking it and never thought it would be an issue. WELL, I went to Target and bought a Brita filter for our home and a Brita water bottle to take with me to work, and I feel 100% different! I’m sleeping better and my brain fuzz is gone. Cis-dichloroethylene (1, 2 – dichloroethylene), a strong reactor for me, is used as a solvent, and can be found in waxes, lacquers, and as a refrigerant, but my doctor thinks it was entering my body through the water I was drinking. It’s a water contaminant, and not always removed from public water purification systems, AKA the tap water I was drinking. As mentioned, I switched to purified water sources, but I also bought a water purifier for our shower head at home, and a HEPA air filter for our bedroom at home. It’s crazy how much our environment impacts our health. D & C Orange #5, my last strong reactor, is a color additive used in pre packaged foods, beverages, medicine, and mouthwashes. This strong reactor is a sneaky one, as it’s also known as Sunset Orange, Flame Orange, Dawn Orange, Petite Orange, Pale Orange, Orange 5 Zirconium/Aluminum Lake, Sunrise Orange, meaning I will definitely have to read labels. Lucky for me, I do not regularly eat oranges, but I have been avoiding foods with additives just to be safe, especially those that have citric acid. My body’s moderate reactions are gluten, brewer’s yeast, chocolate/cocoa, honey, vanilla, english walnuts, navy beans, fusarium vasinfectum, sodium propionate, peppermint, metallic catalysts. SO let’s start with the ever taboo gluten intolerance. Gluten is present in wheat, rye, oats, barley, spelt, kamut, but there are several substitutions for it like corn, millet, quinoa, rice and buckwheat. Many avoid gluten, even if they haven’t been tested for it. I was not one of those people – I love bread, all forms of bread. Sadly, I am unable to eat it for the time being, as even gluten free bread contains my next moderate reactor, brewer’s yeast. Brewer’s yeast is in EVERYTHING! It’s used in most alcoholic beverages, vinegar, fermented foods (Kombucha, sauerkraut, pickles, relish), some B Vitamins, frozen entrees, vegetarian patties, soups and gravies. The best way to avoid brewer’s yeast is to make homemade food, avoid anything pre packaged or canned and read labels thoroughly. Chocolate/cocoa was a shock for me, because I LOVE chocolate. I had been using chocolate protein powder, and adding cocoa powder to recipes to enhance flavor, so I shouldn’t have been surprised that my body reacted to it. I also was using honey and vanilla to enhance recipes, so I will have to cut those ingredients out for now, read labels, and avoid most baked goods. English walnuts and navy beans are not disappointing for me, because I don’t have those in my diet regularly. Fusarium vasinfectum is a common plant and soil fungus, found mostly in fruits and vegetables. 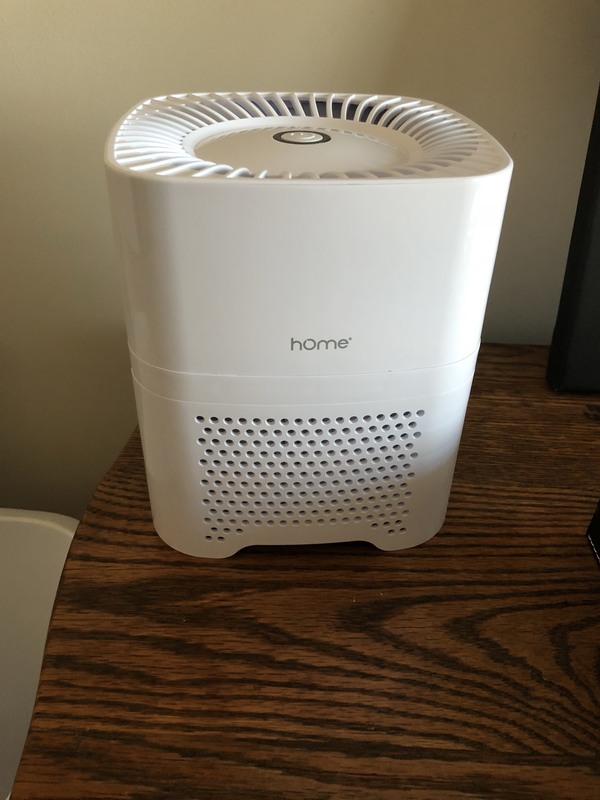 In order to avoid further irritation in my body, foods should be washed thoroughly before consuming, and a HEPA filter should be used to filter the house. Sodium propionate is another sneaky one that came up on my test. Sodium propionate is a crystal that gathers water in moist air. It is used in cosmetics and foods to extend shelf life, such as baked goods, jams, pie crusts, gelatin, soft candy, etc. I will have to read labels on my cosmetics and mostly avoid foods that are pre packaged, which seems to be a theme. Peppermint is interesting to show up as a sensitivity, but not that unexpected, as I was previously consuming a lot of gum and mints. Metallic catalyst is a nickel containing compound, used to make hardened oils and margarine. I don’t use either of those items, but I was drinking regularly out of my YETI cup daily, which I mentioned in PT 1 of this blog series. Although that it my favorite cup, I will have to give it up for now and switch to a different water bottle. I am shocked that I’m not sensitive to dairy, as that’s what I thought. I never would have guessed it’s gluten – that’s definitely a tough one, because although there are many gluten free options, I’m sensitive to yeast as well, which is included in most gluten free options. Other surprising sensitivities for me are mercury, Cis-dichloroethylene, chocolate, vanilla – BUT taking them out and switching up my routine has made the most difference in my digestive issues, mood, and sleep. Switching to filtered water probably made the biggest difference for me so far. How crazy is it that this whole time it was the water I was drinking?! This is why it’s huge to get this type of testing done if you are able, as it’s super hard to pinpoint on your own. It’s been about a week and a half since getting these results back, and although an adjustment, I have honestly never felt better. I know I’ve said it several times in this post, but I really am quite shocked at the results. I cannot wait to share how my first Thanksgiving was with food sensitivities and how each day has been going!